Since, he’s followed the tour to East Bay Raceway Park and the page has been turned. This week, he has a near perfect record. Overton scored a 2nd place finish on Tuesday. Last night, he picked up his first win of the season. Overton has 3 more nights of racing at East Bay Raceway Park. Following is 6 nights of racing at Volusia Raceway Park. 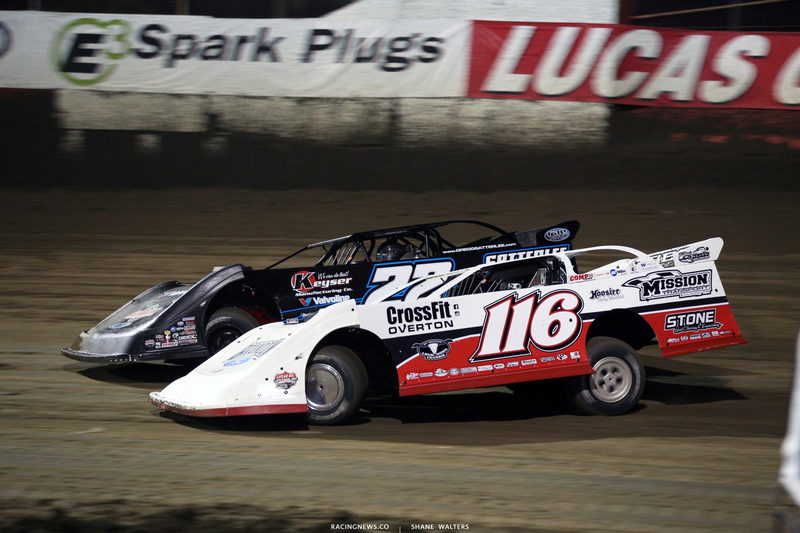 Brandon Overton and Jimmy Owens were in a battle off turn 2 early in the race. Owens ran close to the middle in turn 1. Overton was glued to the top and coming quick. At the last second Owens closed the door on the exit. Overton cut down off the banking and raced to the inside in turn 3. Did you think Jimmy Owens was going to leave you a lane in turn 1? 1 car and 1 motor, what happened? The motor is on loan from Randy Clary. 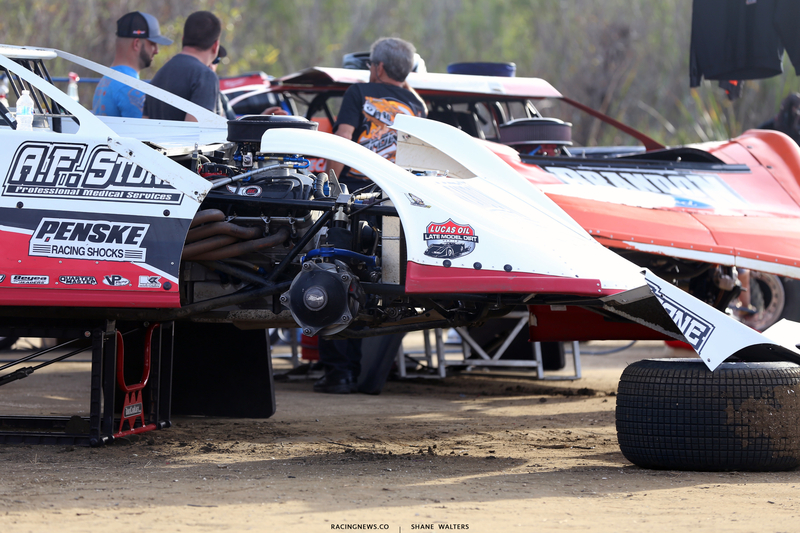 Overton and his only car are set to run the rest of the week at East Bay Raceway Park. He planned to jump back to Georgia after tonight’s race in Florida. However, Screven Motor Speedway has rained out. That means Overton will hang around to bring a few more headaches for the LOLMDS regulars. Ahead of the season, Kyle Bronson and Brandon Overton formed an alliance. Both drivers pilot Longhorn Chassis. They’ve been pitted side by side at both track. This week at East Bay three Longhorn drivers are parked side by side. Overton, Bronson and Davenport lined up in the pits. I’ve noticed that Jonathan has joined the Longhorn camp here? So, this isn’t necessarily 3 Longhorn guys working together?